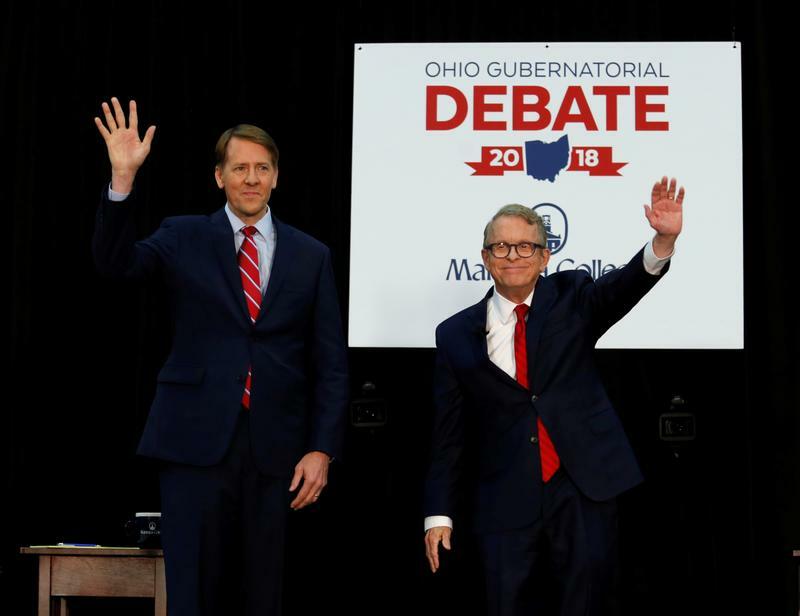 Ohio governor candidates Republican Mike DeWine (left) and Democrat Richard Cordray are on track to spend more money than in other Ohio governor's race. The most recent fundraising filing with the Secretary of State shows Republican Mike DeWine has raised a total of more than $24 million while Democrat Richard Cordray has nearly $14 million in his campaign war chest. That’s more than $38 million combined. It’s $8 million more than was raised in 2010 when Republican John Kasich beat incumbent Democrat Ted Strickland. 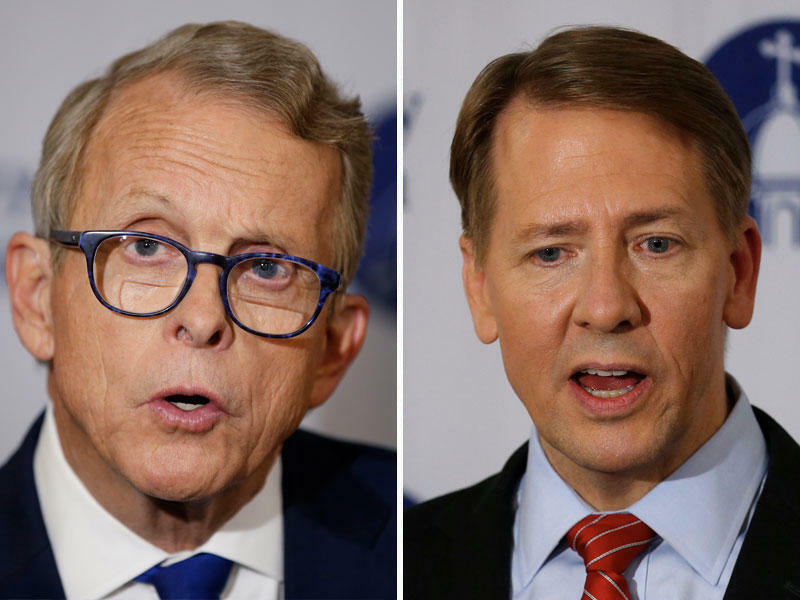 DeWine raised $1.9 million in September while Cordray raised $2.6 million last month. The huge fundraising numbers weren’t mirrored in minor party gubernatorial contests. The Libertarian Party’s Travis Irvine raised more than $9,600 while Green Party candidate Constance Gadell-Newton raised just short of $1,800 last month. Democratic candidates are also outraising Republicans in the downticket races. In the race for attorney general, former U.S. Attorney Steve Dettelbach has nearly double what his Republican opponent, Auditor Dave Yost, has raised. Dettelbach has almost $753,000 while Yost has nearly $433,000. In the race for secretary of state, Democratic state Rep. Kathleen Clyde raised more than her Republican opponent, state Sen. Frank LaRose. Clyde raised nearly $324,000 in September while LaRose collected just shy of $272,000. Cincinnati attorney Rob Richardson outraised his Republican opponent, state Rep. Robert Sprague, in the race for treasurer. Richardson garnered a little less than $204,000 last month while Sprague raised about $169,000. And for auditor, former U.S. Congressman Zach Space collected more than $257,000 in September while Republican state Rep. Keith Faber pulled in about $219,000 during the same period. While Democrats outperformed Republicans last month in races for top elected offices, the opposite was true of candidates for the Ohio Supreme Court. Appointed Republican Justice Mary DeGenaro raised more than $91,000 last month, while her Democratic opponent, Melody Stewart, an appellate judge from Cleveland, raised more than $54,000. In the race for the seat being vacated by Republican Terrance O'Donell, Republican appellate judge Craig Baldwin of Newark raised more than $72,000, while his Democratic opponent, Michael Donnelly, a Cuyahoga County Common Pleas judge, raised a little more than $53,000. 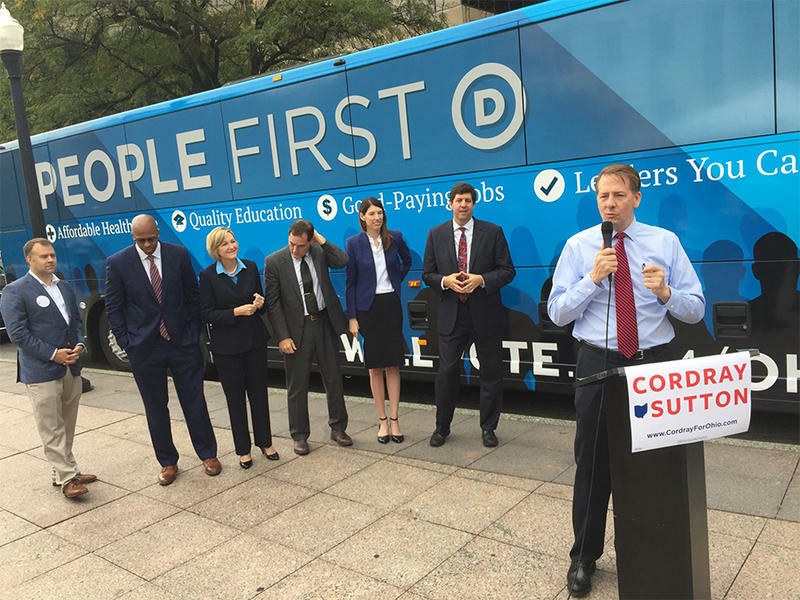 The Democratic candidates at the top of the fall ballot are hitting the road for a bus tour of Ohio. The candidates say their platform is a universal message that will connect to more than just liberal voters. 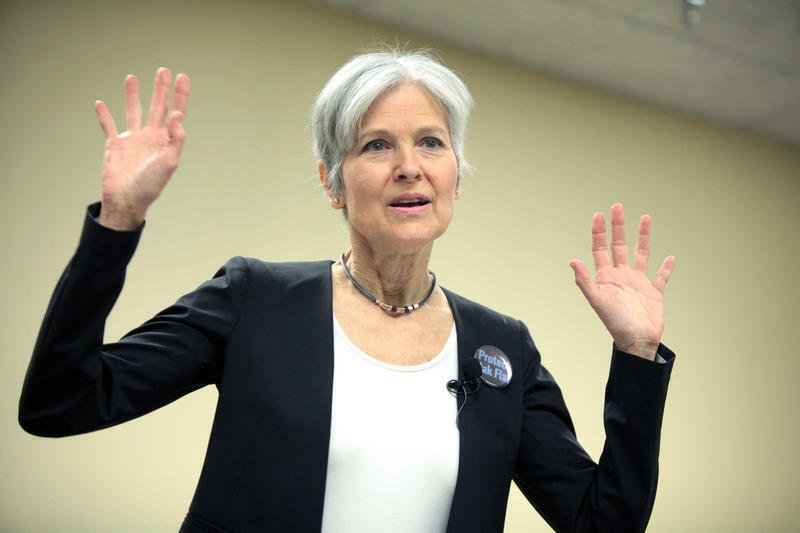 Two-time Green Party presidential candidate Jill Stein is in Ohio stumping for the party's gubernatorial candidate. The candidates were asked about energy, education, the environment and ECOT, the online charter school that closed earlier this year owing millions of dollars to the state for overinflating student attendance. 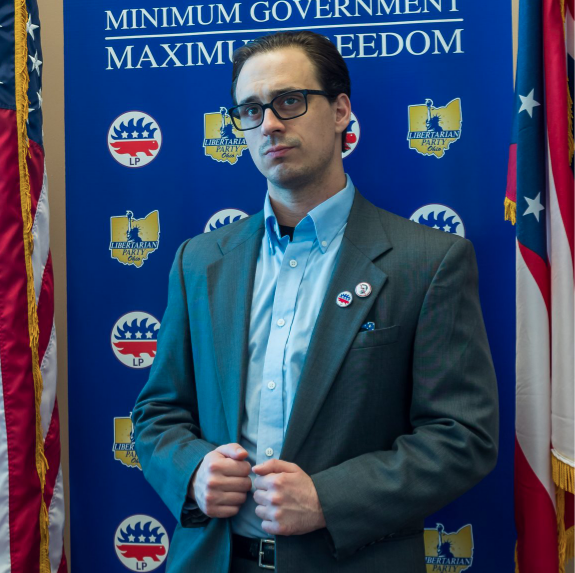 The Libertarian candidate for governor has weighed in on Ohio Issue 1, known as the Drug and Criminal Justice Policies Initiative. In a statement Monday, Travis Irvine called the ballot measure “imperfect,” but “a step in the right direction."